In all, US logging railroads used a total of forty-two Mallet-type articulated locomotives. While these were mainly 2-6-6-2s, twenty-seven of which were tank engines, this number also included three 2-4-4-2s and two 2-8-8-2s. All were built by the Baldwin Locomotive Works, and all were standard gauge (56.5 inches). One 42-inch gauge 0-6-6-0 logging Mallet was built for export. There were also several logging Mallet design proposals that were never built. Two 36-inch gauge 2-6-6-2Ts were built for the Uintah Railway, but these were of a different design. 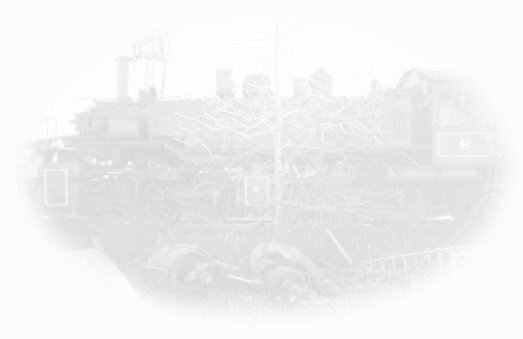 - Locomotives are listed in chronological order. - Preserved locomotives are marked with a '*' followed by their current location. June - 2-4-4-2 - Little River Railroad #126 – Columbia River Belt Line Railway "Skookum" – Carlisle Lumber Company #7 – Deep River #7 *Restoration, Tillamook, OR. June - 2-6-6-2 - Caspar, South Fork & Eastern #5 "Trojan"
March - 2-6-6-2T - Clover Valley #4 – Feather River #4 *Stored, Sunol, CA. July - 2-6-6-2 - Caspar, South Fork & Eastern #7 "Samson"
November - 2-6-6-2T - Bloedel Donovan #8 – Rayonier #8 *Stored, Shelton, WA. February - 0-6-6-0 - Insular Lumber Co #7 (Philippines) *Display, Sagay, Negros Island, Philippines. March - 2-6-6-2T - Potlatch Lumber Company # 24 – Weyerhaeuser Timber Company #108 *Stored, Snoqualmie, WA. November - 2-6-6-2T - Ostrander Railway & Timber Company #7 - Weyerhaeuser Timber Company #5 - Kosmos Timber Company #11 - US Plywood Corp #11 *Display, Snoqualmie, WA. April - 2-6-6-2 - Mud Bay Logging Company #8 – Weyerhaeuser Timber Company #6 *Stored, Snoqualmie, WA. August - 2-6-6-2T - Weyerhaeuser Timber Company #110 – Rayonier Inc #110 *Operational, Hill City, SD. June - 2-6-6-2T - Hammond Lumber #6 – Hammond & Little River #12 – Hammond Redwood #12 – Hammond Lumber #12 – Arcata & Mad River #12 – Southwest Lumber Mills #12 *Display, Flagstaff, AZ. June - 2-6-6-2T - Weyerhaeuser Timber Company #110 – Rayonier Inc #111 *Display, Campo, CA. 1907: 2-4-4-2 - Taupo Totara Timber Co #7 (New Zealand) – Glenbrook Vintage Railway #4 *Preserved, Auckland City, New Zealand. These two locomotives, while sometimes listed with Baldwin's logging Mallets, were of a completely different design and were built for hauling Gilsonite ore. They later hauled lumber on Oregon's Sumpter Valley Railway, a common carrier. While a large number of logging railroads connected with the Sumpter Valley, the two articulated locomotives were not specifically assigned to log hauling duty.